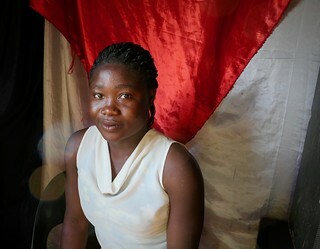 Fifteen-year-old Fadzai lives in Hopley, a suburb of Harare where the Women Advocacy Project (WAP) works. She left school in Form 2 after her father died and her mother went to work in South Africa. Fadzai now lives with her grandmother and they support themselves by selling “Freeze-its” (frozen popsicles) in the market.